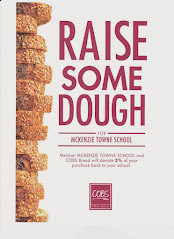 McKenzie Towne School Parent Association: Coco Brooks Information Official Information!! 3. Enter campaign as "seller"
5. Under the "sellers" tab, you will see your name and a unique code to send your friends and family, and if you click on it you can cut and paste the link into your own email by clicking on "Invite Customers" Tab. Happy Selling and thank you for your continued support!